Our stunning Pub dementia friendly wall mural can be applied to any smooth wall just like normal wallpaper. Specifically and carefully designed to enhance and improve Dementia and Alzheimer’s environments for patients, staff and visitors. As standard this mural measures 3200mm wide x 2400mm high but can be adjusted before printing to fit an exact size. We can also change the name or colour scheme of the Pub for you to suit – at no extra cost. Our Pub Dementia Wall Mural has been designed to aid reminiscence amongst dementia and Alzheimer’s patients. Styled on an old-fashioned traditional public house which the elderly will be familiar with. We use a very high quality 295gsm wallpaper material and print using UV inks for eco-friendly fade resistance. Cleaning is simple, just wipe any marks off with a damp cloth. Ideal for communal areas or corridors in care homes or hospital wards, our murals brighten up the environment and are highly appreciated by patients, staff, visitors and inspectors. 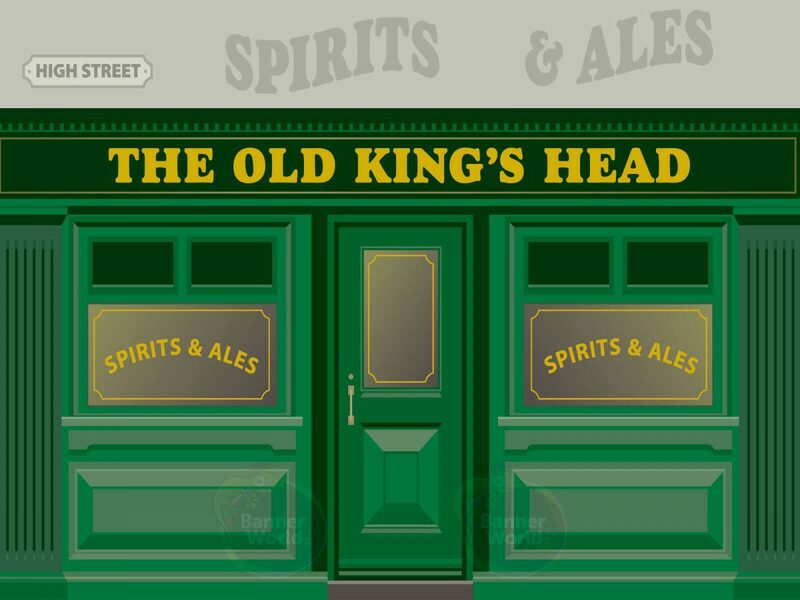 Ideal for communal areas such as lounges, receptions and dining areas, this subtle yet colourful traditional Pub mural will aid reminiscence amongst patients. Consider adding physical structures in front of this mural such as tables and chairs. As each mural is made to order, you can add your own design features such as colour-scheme and type. You can also request a non-standard size if required. Can I change the Pub name? Yes you can. We print every mural to order and can change the artwork before production to suit your requirements. Yes you can. Please provide the exact dimensions for us to provide a revised price.